I have posted before discussion of a decision which allowed postponing a trustee’s sale, and one which postponed the sale without requiring an injunction bond, because of claims the lender did not comply with Civil Code 2923.5. This section requires that, before filing the Notice of Default, the lender shall contact the borrower in person or by telephone in order to assess the borrower’s financial situation and explore options for the borrower to avoid foreclosure. I also wrote last week about the California tender requirement to set aside a trustee’s sale. A recent Court of Appeal decision discussed both issues. In Stebley v. Litton Loan Servicing, Stebley fell behind on their mortgage payments. The lender acted as if they were exploring alternatives to foreclosure, but abruptly foreclosed before telling the borrowers of any decision whether to agree to a loan modification or otherwise postpone the foreclosure. It appears that the homeowners represented themselves on the appeal (and possibly at the trial court), which resulted in a very poor record for the appeals court to review. Anyone faced with questions concerning foreclosure should consult with an experienced Sacramento, Yolo, and El Dorado real estate and foreclosure attorney. 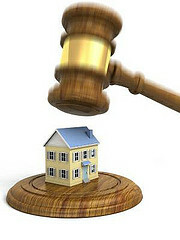 The owners claimed that the lender failed to fully and fairly explore alternatives to foreclosure. The Court first noted that section 2923.5 does not provide for damages or setting aside a sale- it only provides for ‘more time’ before a foreclosure sale occurs. So, once the sale takes place, filing a lawsuit claiming the lender did not comply is useless. This last finding is contrary to some decisions. As one case put it years ago, “It is settled that an action to set aside a trustee’s sale for irregularities in sale notice or procedure should be accompanied by an offer” to pay the full amount. Arnolds Management Corp. An offer is different from actual tender. As a practical matter, tender may be impossible even if the owner were able to come up with the funds if the court rules in their favor. The owner unlikely has cash on hand, but would have to borrow from multiple sources. Under the Stebley tender rule, the money has to be in the owner’s hands to prove that he offered it to the lender. If he took out a loan secured by other property, he would have to incur the cost of that loan with no assurance that the court would rule in his favor. Stebley v. Litton is a decision of the 3rd District, which is controlling for Alpine, Amador, Butte, Calaveras, Colusa, El Dorado, Glenn, Lassen, Modoc, Mono, Nevada, Placer, Plumas, Sacramento, San Joaquin, Shasta, Sierra, Siskiyou, Sutter, Tehama, Trinity, Yolo, and Yuba counties. Presumably County courts in this region will be bound by this bright line tender rule. Arnolds Management was a 2nd District opinion, which covers, Los Angeles, Ventura, Santa Barbara and San Luis Obispo counties. These counties would not be so bound.